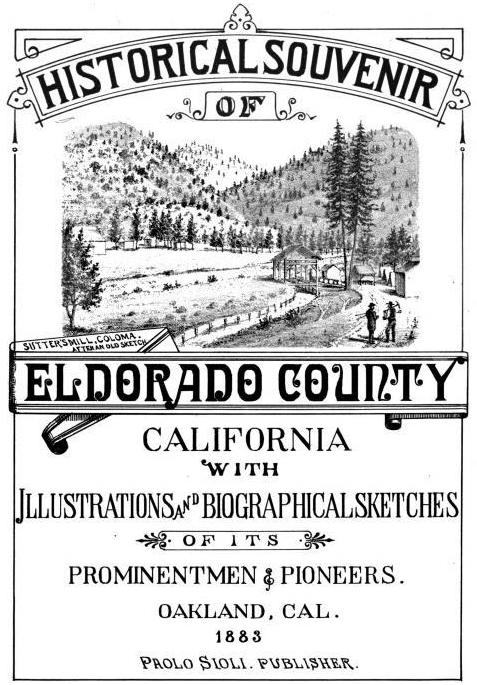 I’ve uploaded a copy of A Historical Souvenir of El Dorado County, California with Illustrations and Biographical Sketches of it’s Prominent Men & Pioneers. – Oakland, Cal, 1883, Paolo Sioli, Publisher. Google has scanned this book as part of it’s Book Project, and it’s available here if you are interested in searching it by “text string”. I may try converting it for this site at some point, but then again…. 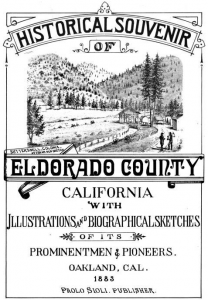 This entry was posted in Uncategorized and tagged El Dorado, Paolo Sioli, Pioneers, Pollock Pines. Bookmark the permalink. If I wrote to Steve, would he be so kind as to help me with a question I have about The Pollock Pines Epic? Yes, Ken, you can write to me and I’ll answer whatever I can.